On March 22, a federal judge in New York ruled that the state’s ban on personal ownership of stun guns is unconstitutional; specifically, that it violated citizens’ Second Amendment right to bear arms. The lawsuit named the superintendent of the state police because that particular agency governs state weapons laws. New York has now followed in New Jersey’s steps, where, two years ago, the state attorney general concluded that New Jersey’s ban on the sale of electronic arms was unconstitutional. In fact, courts across the country, in other states such as Illinois and Massachusetts, have recently struck down similar stun gun bans. In some of these states—including Illinois—the bans were overturned as part of a criminal trial against a defendant who was charged with misdemeanor unlawful use of a weapon after being found with a stun gun. 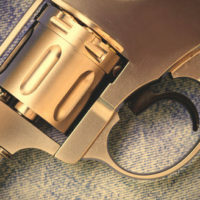 In these decisions, judges found that stun guns should enjoy at least as much protection under the U.S. constitution as firearms, especially since they are arguably even better suited for self-defense use than the more lethal firearms. Specifically, the courts found that both stun guns and Tasers cannot be covered under state concealed carry laws, and therefore, people cannot be charged for unlawful use of a weapon for carrying one in public, or in their car. Because the Second Amendment applies to state and local laws equally, municipalities in all of these states must now follow this precedent and repeal any existing bans. While stun guns tend to look like cell phones and send a charge through someone’s body when they make contact, Tasers shoot a projectile cartridge, making them more versatile when close proximity is lacking. According to those who support legalizing these devices, they provide women in particular with additional options for self-defense, especially if you are not comfortable carrying a firearm with you for protection. Localities do not have the authority to enact more onerous gun laws than what is codified in state law. If you or a loved one has been charged with a weapons charge in New York or New Jersey, make sure that your rights are protected, and contact our civil rights and weapons charge defense attorneys at the office of Phillip J. Murphy today to find out how we can help. There are instances where a state criminalizes an activity that is protected by your constitutional rights, and any charges against you should be dismissed.